Sally Frampton and Brenda Pintabona, real estate agents associated with Century 21 M&M in Northern California, are in the business of helping people. As Realtors, they both love helping people find their dream homes. However, due to this recession, Sally and Brenda find themselves helping people in unexpected ways. Every day they are reaching out and helping people facing possible foreclosure and loss of their homes. 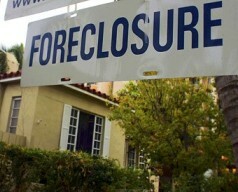 During this year alone, 2.4 million homes nation-wide are expected to be lost through the foreclosure process. When these home owners purchased their home several years ago, not only did their prospects appear stable, their financial situation at that time was in good condition. Today, loss of income due to “circumstances beyond their control”, many homeowners find themselves unable to make their mortgage payments. Even though foreclosure seems imminent, there are options, and according to both Brenda and Sally, the training they received while getting their Certified Distressed Property Expert (CDPE) designation not only gave them the tools to provide better service to these homeowners, but also gave them the education and self confidence to reach out to homeowners facing foreclosure. Reinstatement – The simple solution to avoid foreclosure is Reinstatement. You, the homeowner, contact your mortgage company and request a total amount due – to date – and then pay it. Forbearance or Repayment Plan – In this option, you the homeowner, negotiate with the mortgage company to repay the back payments over a period of time. For instance, if you have missed one payment of $1000, your mortgage company may agree to accept just 1/5th or $200. per month for five months in addition to your current mortgage payment. Loan Modification – A loan modification involves one or more of the following adjustments: the interest rate on the loan, the principal balance of the loan, and/or the term of the loan. These types of adjustments require the homeowner to ‘qualify for the new payment and often requires financial documentation. Deed in Lieu of Foreclosure – This process, also known as a ‘friendly foreclosure’, allows the homeowner to return the property to the lender rather than go through the foreclosure process. Lender approval is required for this option. Bankruptcy – Many times, bankruptcy is presented as a ‘foreclosure solution’, but this is not true in all states or in all situations. If the homeowner has non-secured debts that make it hard to pay their mortgage payments, a personal bankruptcy may eliminate that debt enabling the homeowner to continue making their home mortgage payment. However, if the homeowner cannot afford their mortgage payment regardless of the elimination of non-secured debt, a bankruptcy will only stall the foreclosure process. Bankruptcy affects your credit score and can only be declared once every seven years. Refinance – If a homeowner has sufficient equity in their property and their credit is still in good standing, they may be able to refinance their mortgage. In some cases this action may lower payments, but not always, and it is an expensive process. Sell the Property – Homeowners with enough equity can sell their property, thereby avoiding the foreclosure process and in some cases ‘cash out’ on their equity. However, in this economy this scenario is not likely unless the homeowner has owned their home for a number of years. Short Sale – Essentially a Short Sale in real estate means the lender is accepting less than the total amount due. This typically requires the property to be on the market and the homeowner must participate in the process by proving financial hardship. This means that financial statements are presented along with a letter of explanation regarding what caused the hardship. Acceptable hardships include but are not limited to: mortgage payment increase, job loss, divorce, excessive debt, forced or unplanned relocation, and more. A short sale allows the homeowner to avoid foreclosure and salvage some of their credit rating. In addition, the homeowner avoids a foreclosure on their public record, and in many cases, the homeowner may be able to avoid a deficiency judgment. Servicemembers Civil Relief Act (military personnel only) – Servicemembers that can show that their debt was entered into prior to deployment may qualify for relief under the Servicemembers Civil Relief Act. Servicemembers should contact The American Bar Association to find an attorney to work with in this situation. NOTE: For your protection, it is important that Short Sale candidates seek professional counsel; an attorney and/or an accountant.